Why Should I Maintain My Roof? Maintaining your roof system is as important as changing the oil in your car. Without routine maintenance, your roof, like a motor, will begin to breakdown. Catching problems before they occur is a great way to maintain your car as well as your roof. New roof systems, when maintained from the beginning, can outlast their warranties. Annual or semi-annual inspections help to locate deficiencies and get them repaired before they get bad enough to allow moisture into the building damaging insulation, decking and items stored inside the building. Some manufactures require inspections and roof membrane cleaning to maintain their warranties for their roof systems. 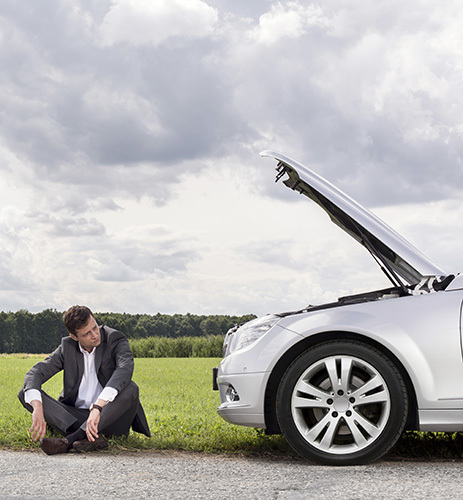 Without routine maintenance, your roof, like a motor, will begin to breakdown. When Should I Inspect My Roof? The best times to complete roof inspections are in the spring and fall. The best times to complete roof inspections are in the spring and fall. Spring inspections help find issues created over the winter and fall inspections help to free the roof of debris and prepare the roof for the up-coming winter. It is a good idea to have your roofs inspected before and after significant storms as well. Hail, heavy rains and snow can leave a roof system battered and in need of repairs. Who should inspect my roof? Roof inspections should be completed by competent roofing contractors who are familiar with the roof system you may have on your building. Single ply roof systems, metal roofs, shingle roofs, and built-up roof systems all have different types of deficiencies that require different types of repairs that more often than not need to be completed by an authorized installer for the manufacturer. 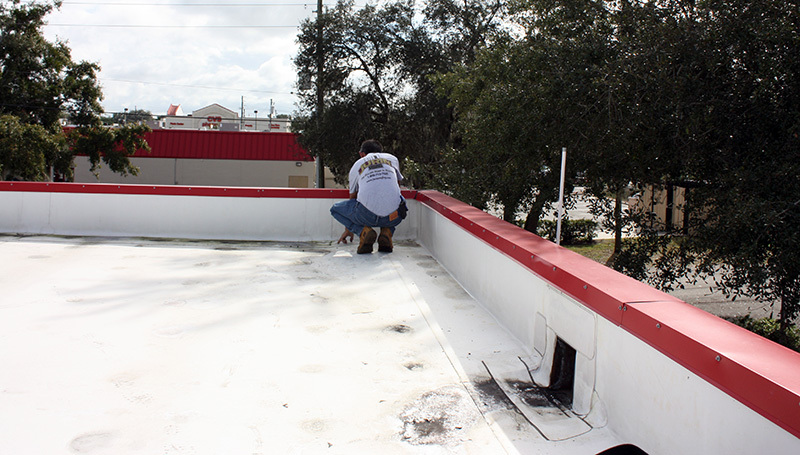 Repairing EPDM roof systems with asphalt products such as roof cement can damage the membranes creating further problems with the roof and potential voiding of the warranty. Improper repairs could result in issues with warranty claims. Proper repairs to a roof system is a must. 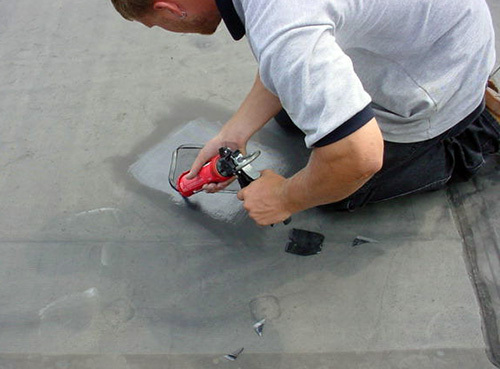 EXAMPLE: Repairing EPDM roof systems with asphalt products such as roof cement can damage the membranes creating further problems with the roof and potential voiding of the warranty. It is suggested that a reputable roofing contractor complete the needed repairs to your roof system. If your roof system is currently under warranty make sure that you hire a contractor who is authorized to work on your roof. You can check with your manufacturer and they can confirm your contractor is authorized or help you contact a local authorized applicator. If your roof system is currently under warranty make sure that you hire a contractor who is authorized to work on your roof. A simple beginning to maintaining a roof system would be to make sure the roof is clear of vegetative debris such as leaves, branches etc. Removing these items from the roof help with the flow of water from the roof system. Debris can block drainage points causing ponding and additional vegetative growth as well as water backing up into flashings. Excessive water on a flat roof system may create structural issues and compromise the integrity of the roof deck and supports. These issues can be avoided just by cleaning the debris from the roof. As long as the maintenance staff can complete the tasks safely you may be able to do the job on your own. Full inspection and repairs should be completed by professionals. 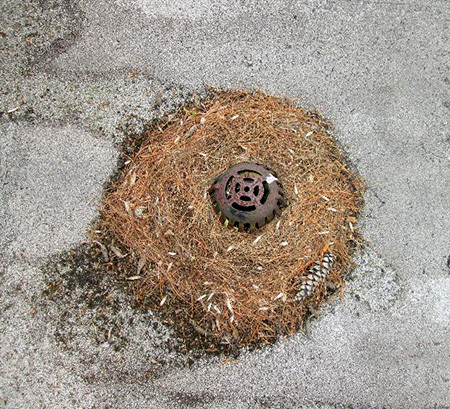 Clogged roof drainage points can cause ponding and additional vegetative growth which can lead to roof leaks. A roof inspection completed by a professional should include a written and photo inspection report as well as recommendations for repairs. Some companies will repair items up to a certain agreed upon amount but additional repairs and large repairs may need to be addressed with a proposal. The deficiency areas can be marked on the roof using paint, keels, etc. for quick location of issues for repair. A CAD drawing with the deficiencies marked and submitted with the report, is a good way to keep track of the issues located during each inspection. Leak tracking and ongoing maintenance within an area can help show the customer “trending” with each inspection. Infrared scanning can be a great tool used in the process of roof maintenance. IR scanning helps to locate moisture trapped in a roof system. Moisture contained within roof systems absorbs energy slower than dry roofing material. In addition, wet insulation or roofing material cools slower than dry roofing insulation, thereby creating a difference in the radiant heat loss after heat gain stops which allows for the detection of potential moisture through thermal imaging. The infrared thermography camera detects heat patterns across surfaces by detecting infrared heat being emitted by an object and converting it to visible light. 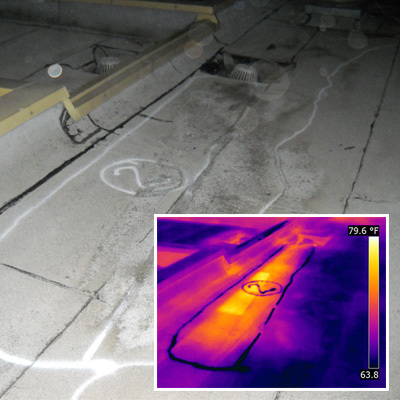 Infrared scanning helps to locate moisture trapped in a roof system. With wet insulation comes energy loss. 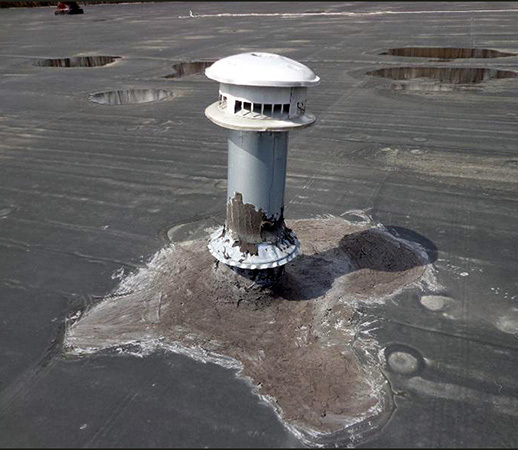 With energy loss comes money down the “roof” drain! Wet insulation can be located, outlined and removed. New insulation and membrane can then be replaced and your roof system restored to proper functionality. There are many avenues to travel with roof inspections, the main concern is that they are completed. If you want your vehicle to last 100,000 miles you should change the oil and take care of it. Why would your roof asset be any different? Usually I only call a repair service when something is completely broken. I realized that I can’t do that with my roof since it literally is what protects my family and I. I like how you mention that roof inspections should be completed by competent roofing contractors. Having the roof inspected will ensure that it doesn’t completely deteriorate without me knowing. 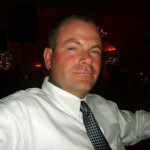 I learned a lot aobut the importance of roofing maintenance by reading this article. It was cool to learn that proper maintenance can help to extend the lifespan of your roof by preventing moisture build up. I hope this article can help us to save up money for ur next family vacation.